Natural beekeeping without frames, sugarfeeding, cruelty to animals. - - - New scientific research turned out that not only plastic combs and artificial foundation but also frames made of wood, as they are also allowed in organic / biodynamic or Demeter beekeeping, can lead to a complete collapse of communication system of a beecolony. - - - Therefore more natural beekeepers are needed! - - - During a two semester Traineeship in english language you can qualify for „Ecological beekeeping Proficiency Certificate". As a certifiied Apiary of Centre for Ecological Apiculture you'll have the possibillity to spread this kind of beekeeping all over the world: ecological api culture in Top-bar-hives according standards of Centre for Ecological Apiculture. Why just beekeeper? - - - Its a rather uncool profession, isn't it? You always need to store a lot of frames in special rooms until they are needed, you take away the honey from bees and give them sugar without value, cut the wings of the queenbee in order to prevent her from swarming and so on - - - ok, if that are the perspectives, you better become an investmentbanker! But there are other perspectives. 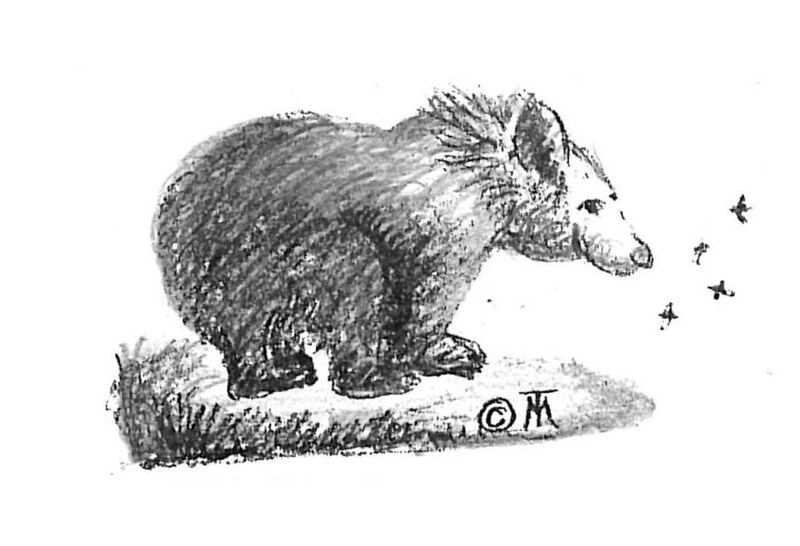 Natural beekeeping without frames, sugarfeeding, cruelty to animals: Why especially natural beekeeping is so important shows an article issued 2003 in Apiculture. It is said: more and more it turns out that not only pollen and other parts from crops modified by Agro-biotechnology are responsible for a weakening of beecolonies, but also artificial frames, foundations and combs. "Is the colony being disturbed, while it is being forced to get along with new and unnatural substances, it never had selected itself (for example. Plastic combs), or comes in contact with it (special pesticides, GE-pollen), thus this can not only lead to communication - disorders within the colony, but causes by that also till now unexplainable phenomena. Because, if the communication is disturbed, the nectar - and pollen foragers can not decipher that "bee language" in the hive anymore, or too less foragers react on the bee dances (which show up the distance and quality of the feed source), thus too less nutritious pollen resp. nectar is going to be collected and the colony dies by starvation". New scientific research turned out that not only plastic combs and artificial foundation but also frames made of wood, as they are also allowed in organic / biodynamic or Demeter beekeeping, can lead to a complete collapse of communication system of a beecolony. Important to know is the fact that a naturally built comb is not only used for storage of honey and pollen or brood rearing but it is also a kind of "world-wide-comb"; honeybees use it for tele-communication and transmitting of information. Therefore more and more natural beekeepers are needed! How do I become a natural beekeeper? During a two semester Traineeship in english language you can qualify for „Ecological beekeeping Proficiency Certificate". As a certifiied Apiary of Centre for Ecological Apiculture you'll have the possibillity to spread this kind of beekeeping all over the world: ecological beekeeping in Top-bar-hives according standards of Centre for Ecological Apiculture. Even distance courses are possible. More Information Tel. : 0049 5652-917899. Maybe you receive financial support from secretary for Employment. Thiele, M. 2008: Why do honeybees swarm? Apicultural Review Letters 2008, 7,Nr. 239. Thiele, M. 2002: Nature and Art. Apiservices 2002 - Virtual beekeeping gallery. Therin: In the Organic Beekeeping Journal 2001 (http://www.thehealingpath.com) you can find the recommendation for „organic beekeepers": „The best methods of managing the swarm impulse, is to clip the queens wings and catch the swarm from the ground". Thiele, M. 2002: Apitherapy as social medicine - sound education and beekeeping methods as basis for Apitherapy. 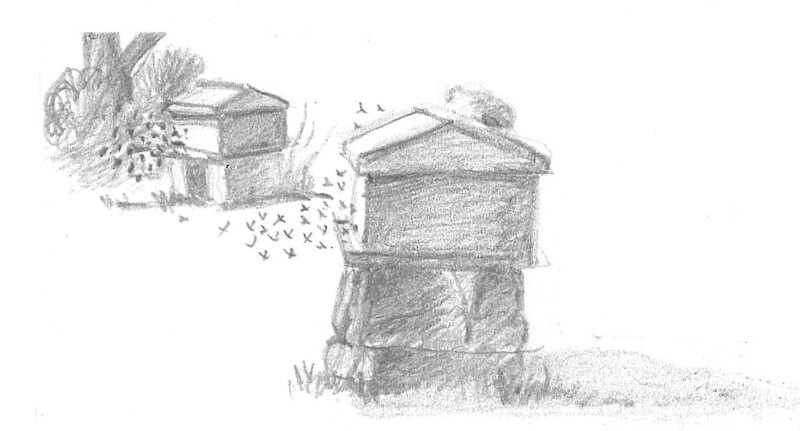 Apiculture 1 (4).